The Atlantic Book Awards Society is pleased to announce the full shortlist for the eight different book prizes comprising the 2015 Atlantic Book Awards. The twenty-four books up for awards represent a wide range of books from Atlantic Canada—everything from illustrated cookbooks to evocative novels. The full shortlist is printed below and is available at www.atlanticbookawards.ca. Among the more familiar names on the shortlist are former CBC host Linden MacIntyre for his novel, Punishment (Random House Canada); comedian Andy Jones for Jack, the King of Ashes(Running Goat Books & Broadsides); and illustrator Sydney Smith for Music is for Everyone,written by singer Jill Barber (Nimbus Publishing). Musician Alan Doyle is short-listed for his work, Where I Belong: Small Town to Great Big Sea and Gordon Pitts is nominated for his book about the late Purdy Crawford, Fire in the Belly (Nimbus Publishing). The region’s book publishers are well represented on the shortlist with sixteen of the twenty-four nominations going to books published by Atlantic publishers. Halifax’s Nimbus Publishing leads, having published three of the shortlisted titles, while Newfoundland’s Breakwater Books andCreative Publishing each have two nominations, as do Nova Scotia’s Formac and Roseway Publishing with two nominated titles each. Other local publishers include Island Studies Press(PEI), Pottersfield Press (NS), Boulder Publications (NL), ISER Books (NL) and Running Goat Books & Broadsides (NL). The Atlantic Book Awards Society announced the nominees Tuesday evening, April 7, at a fundraising event at the new Halifax Central Library, that featured author Jon Tattrie hosting a conversation with fellow writers Valerie Compton, Alexander MacLeod and Ami McKay. 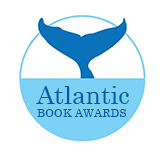 The 2015 Atlantic Book Awards and Festival runs May 7-14 with free literary events in all four provinces. Festival details will be available at www.atlanticbookawards.ca soon. Winners of the 2015 Atlantic Book Awards will be announced at a special awards show on the last night of the weeklong festival, Thursday, May 14 at 7:00 p.m. at the Alderney Landing Theatre in Dartmouth, and tickets will on sale by April 15 at Ticketpro.ca. The Board of the non-profit Atlantic Book Awards Society is made up of representatives of the Atlantic Canadian book and writing community. The 2015 Atlantic Book Awards and Festival gratefully acknowledges the support of the Canada Book Fund of the Department of Canadian Heritage, the Nova Scotia Department of Communities, Culture and Heritage, Halifax Public Libraries and the sponsorship of the Atlantic Publishers Marketing Association/Atlantic Books Today and Chapters/Indigo/Coles. Publisher: Formac Publishing Company Ltd.
← 2015 Atlantic Book Awards and Festival Short -List Announcement!